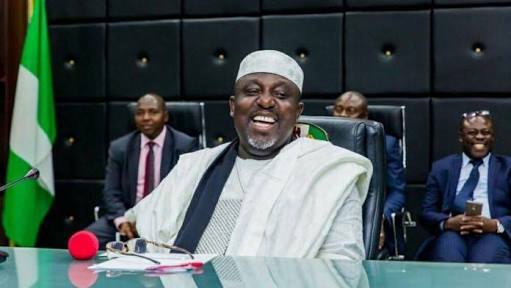 Governor Rochas Okorocha of Imo state has said that the Igbo alone cannot produce a president of Igbo extraction, adding that the Igbo would need the rest of Nigerians to be able to have a president of Igbo origin. The governor also regretted that the Igbo failed to honour their leaders. He said, “The Igbo do not know how to honour their own. They rather like to run down any of their rising leaders. The pull-him-down syndrome is high in Igbo land. And it is very unfortunate. Anytime I come out to run for the Presidency of this country, I will not suffer pull-him-down from the North or from the South-West or South South, it is only in Igbo land that I will suffer it. Okorocha spoke while fielding questions from newsmen on Sunday at the Government House, Owerri. On the DSS action at the National Assembly, the governor frowned on the face-off between the executive and the legislature saying, “It is unfortunate. People took the humility and sincerity of purpose of President Muhammadu Buhari for granted. Usually, no President or governor would sit down and watch a speaker that he has not supported to emerge.